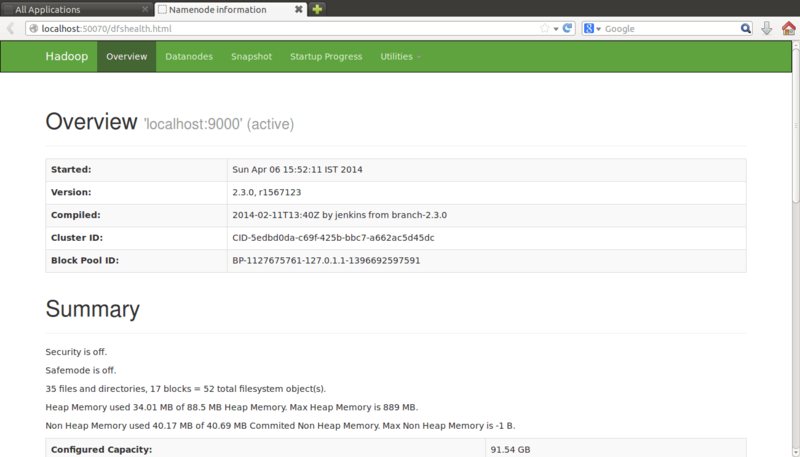 Apart from Command Line Interface, Hadoop also provides Web User Interface to both HDFS and YARN Resource Manager. Both HDFS Web User interface and Yarn Interfaces are useful in pseudo-distributed mode and are critical tools when you have a fully distributed setup. 2. 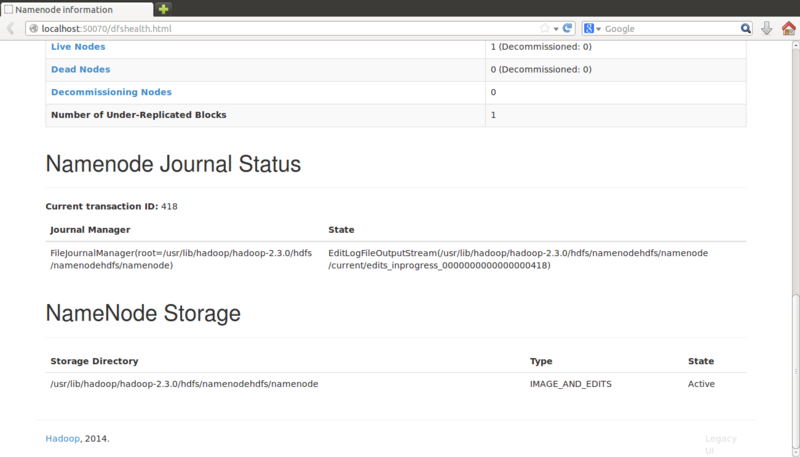 Name Node status and storage information will also be displayed at the bottom. 4. Snap shot summary can accessed as shown below. 5. We can also browse through HDFS file system and view list of directories and file contents. Enter the URL as http://localhost:50070/ in web browser and to point to port number 50070 on localhost host name in pseudo-distributed mode. In Fully distributed mode, replace the ‘localhost’ with actual host name of machine on cluster. 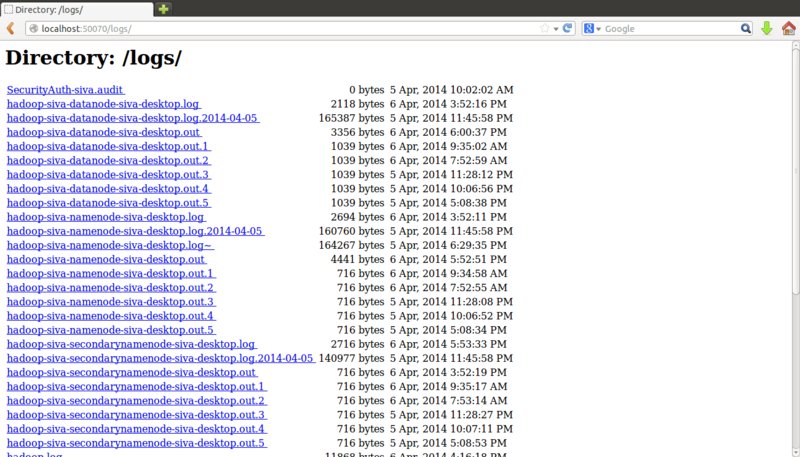 Note:By Default HDFS Web UI is read only, and files or directories can’t be created/modified. We can browse file system from Utilities menu on screen. All the directories and files in root folder ‘/’ are listed above. We can browse through each directory by clicking on each directory name as shown below for /user directory. 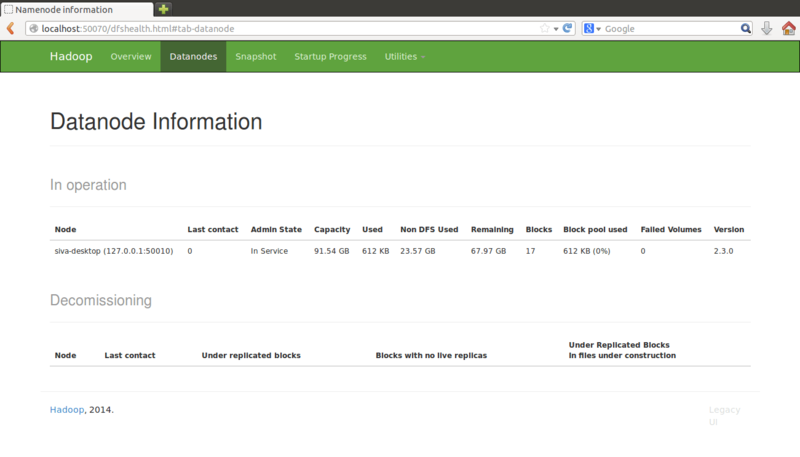 As shown in above screen, for each file, owner, group, size, replication factor, block size are listed in the table. We can have a look at the block information of each and download the files by clicking on each file. As all our files size is less than block size (128 MB), each file will have only block with number Block 0. 6. Browse Log files generated from various events like running map reduce jobs, running HDFS or YARN daemons. We can select these logs from Utilities menu on screen. For browsing YARN Resource Manager with Web UI, Please refer this post. I can’t download the files as given in step 5. It gives error relating to proxy settings but I have done proxy settings on the system. 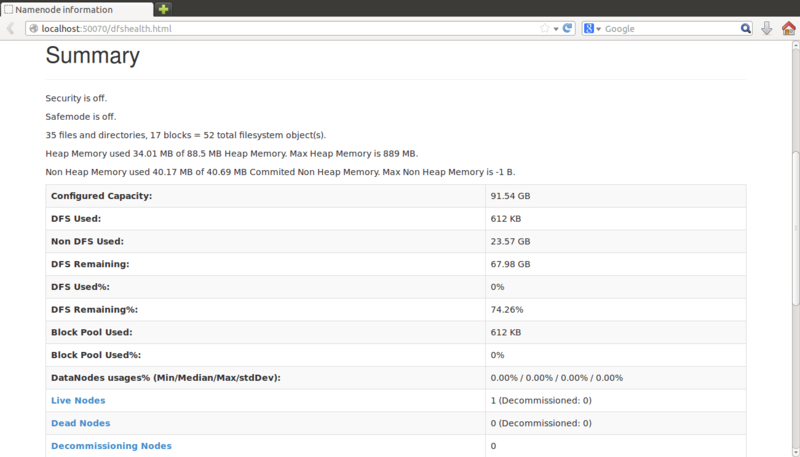 Do I need to put something for proxy settings in any of the hadoop configuration files? I also have the same issue while downloading. Can anyone help me with understanding the cause for this issue and how it can be resolved?